The deadline is approaching for photography enthusiasts to enter their best images of Oregon agriculture to the annual Oregon Farm Bureau (OFB) Calendar Contest. Twelve selected photographers will have their work featured as month images in the 2019 Oregon's Bounty Calendar. The award-winning calendar celebrates all aspects of Oregon agriculture: the products, the people, the production, the landscape, the enjoyment, anything that depicts the beauty, technology, culture, enjoyment, or tradition of family farming and ranching. The deadline for entries is Sept. 15, 2018. Horizontal-format, high-resolution images — both close-ups and panoramic views — are needed of all types of agriculture in all seasons. Subject ideas include scenes from farmers markets, close-ups of ag products or crops in the field, planting and harvesting crops, panoramic scenes of farmland, people enjoying Oregon-grown ag products, portraits of farmers/ranchers/families, farm animals, state or county fairs, 4-H and FFA events, on-farm festivals, to name just a few. 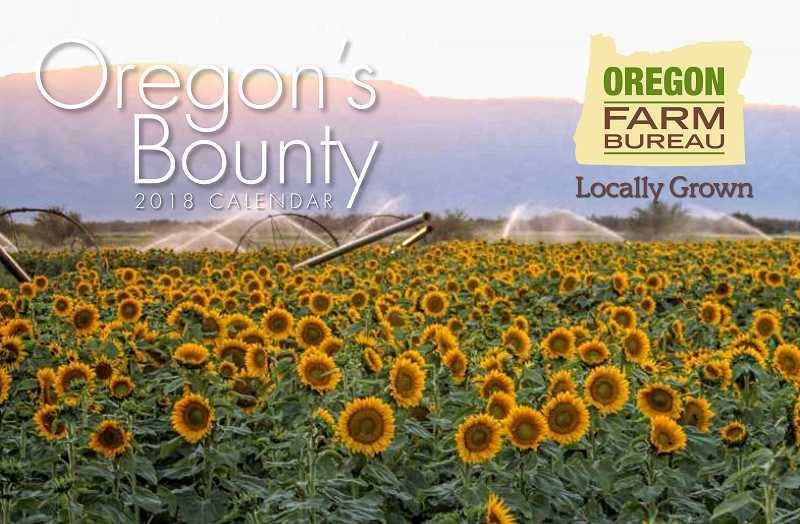 Photographers with images selected for month pages in Oregon's Bounty will receive a photo credit in the 2019 calendar, which is mailed to 67,000 Farm Bureau members, and copies of the calendar. Everyone who submits an image will receive a complimentary copy of the calendar ($20 value), provided they include their mailing address. Photo specifications and contest rules are at www.oregonfb.org/calendar.